The US-backed Saudi-led coalition has continued its raids on various provinces; this time, leaving two civilians killed in Hodeidah and material damage to public and private property. In pot city of Hodeidah, an official local sourced from the city reported on Thursday that two citizens were killed as a result of the bombing of the village of al-Faris in al-Tuhita district by the militias of the Saudi-led coalition and their mercenaries. In addition, Coalition mercenaries bombed the areas of al-Saffron and the Sheikh’s compound in Kilo 16 with a number of artillery shells. They also heavily shelled the east and south of the Tuhita district with heavy weapons. Coalition ground militias also targeted east of Hodeidah airport. In al-Bayda, Saudi-led paid mercenaries killed one of the citizens at al-Sufai point in the Qaniya area. In Yemen’s northern province of Saada, Coalition jets launched three raids on the Atafin area and Wadi al-Abujbara in the Kattaf district. 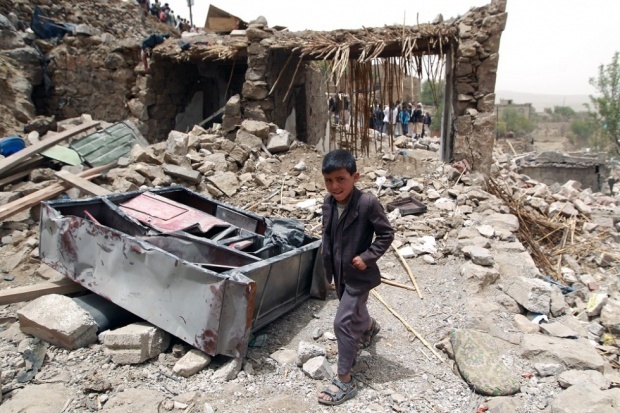 In Hajjah, a number of two air raids were carried out on the al-Abaisa area in the district of Kushar. In al-Jawf province, two raids from coalition warplanes were conducted on the al-Atafin area, in the al-Ajasher district.